The best weather of the year decided to show up this past weekend, and it leaves me hopeful it will stick around for Easter. We have been taking advantage of the patio (and pre-bug season) as much as possible with family and friends, and even week night dinners. 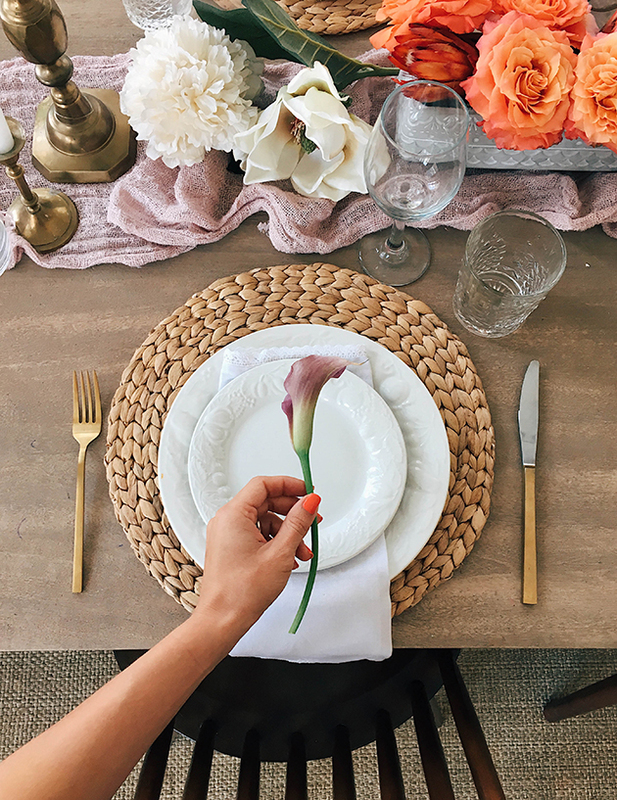 I think Easter Sunday is a celebration worth pulling out all the bells and whistles for, but when you have little ones at your feet and you are juggling hot dishes of food, setting the table needs to be the easy part! I usually rotate the same table top items throughout the year, and grab different elements from around the house to shuffle around until I find a setup I like. For this set up the only thing new I purchased were the low planters to hold the florals. Since we will be having a big crowd for Easter Sunday we will probably be using both our indoor and outdoor dining space. 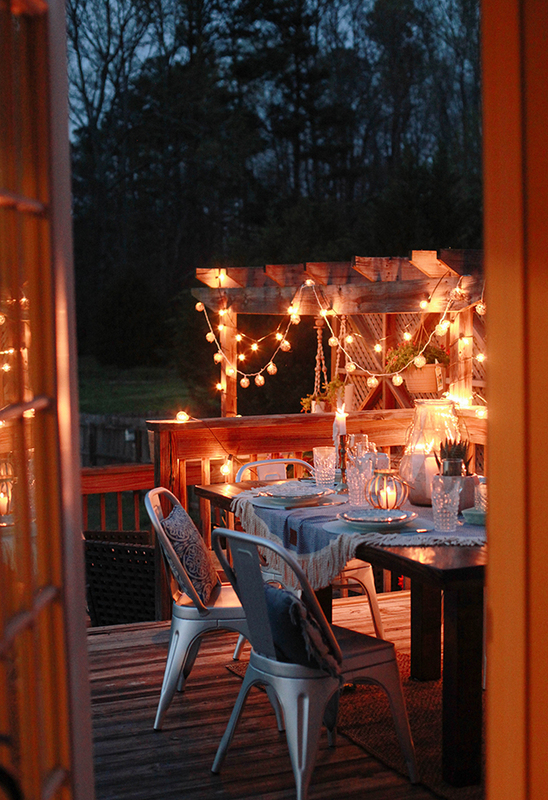 What I love about outdoor dining (weather permitting!) is that there there is room for day to night lighting. 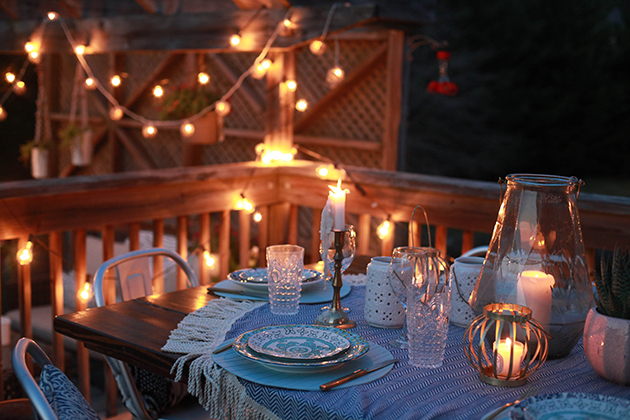 You’ve got the sun by day and as many candles and lights as you like after the sun sets. 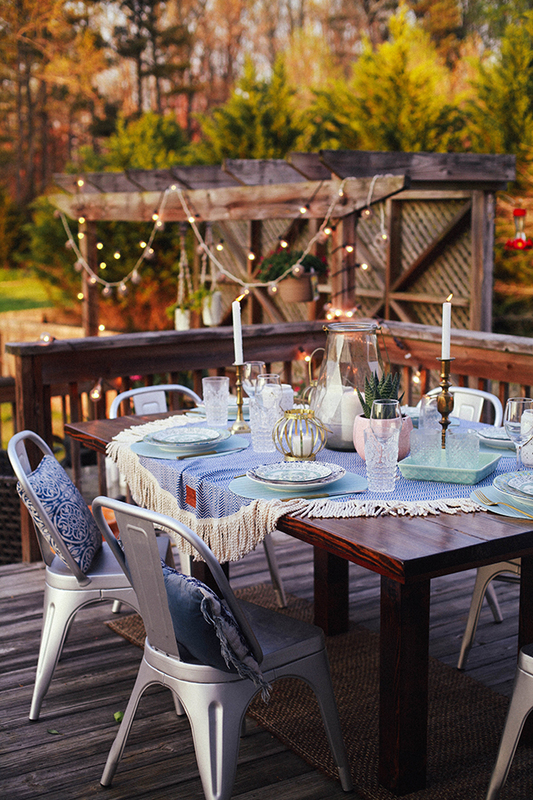 When there aren’t flies or mosquitos yet, it’s easy to spend the day away outside. Except, holy pollen season! We haven’t had this much family all in the same city in years. I am really looking forward to the time with them, and to use our backyard for annual Easter egg hunt! Do you all have any traditions you will be celebrating for Easter? Also, I was hoping to be blogging more consistently this year, but right now, there is so much happening in life as well as other time consuming projects that time is slim as you can imagine! I’m doing my best, but hopefully will be better about consistent days come summer. For now, I’m still working hard to create content I love that you readers also enjoy. So thank you for your patience with me, and your continued kindness! Indoor + Outdoor Plant Guide. 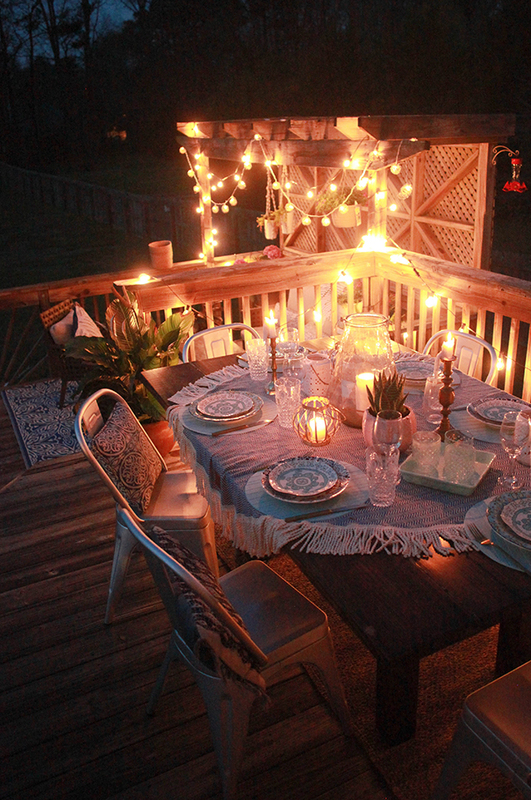 I LOVE the outdoor setting. It’s perfect for spring, really sets the atmosphere! 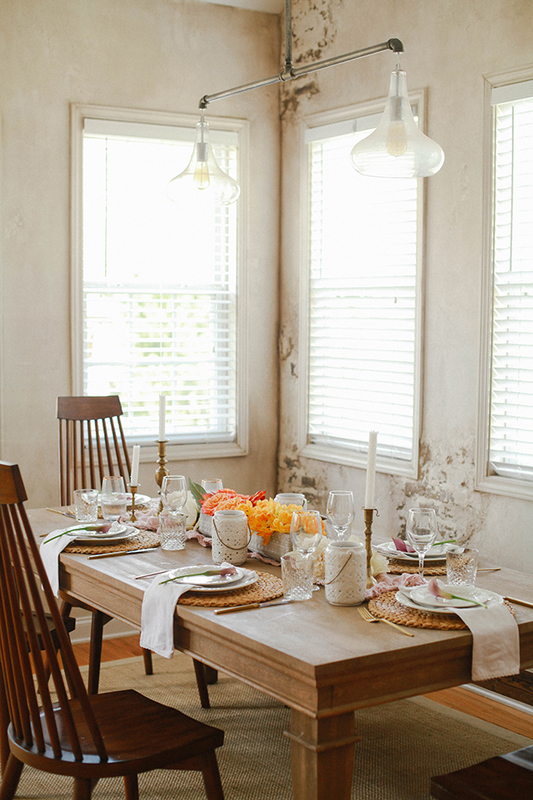 I love the idea of using a Turkish Towel as a tablecloth! 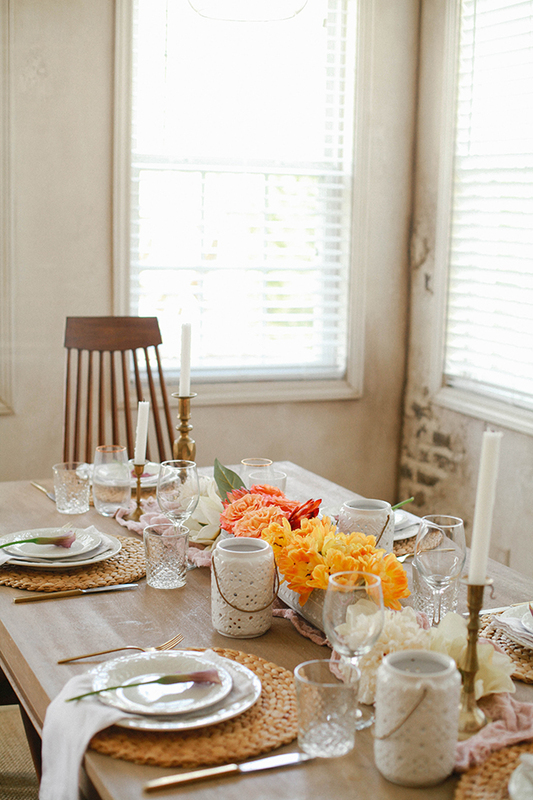 And I also love how you are incorporating flowers and candles in both settings. Beautiful. That indoor table is gorgeous! I love what you did! 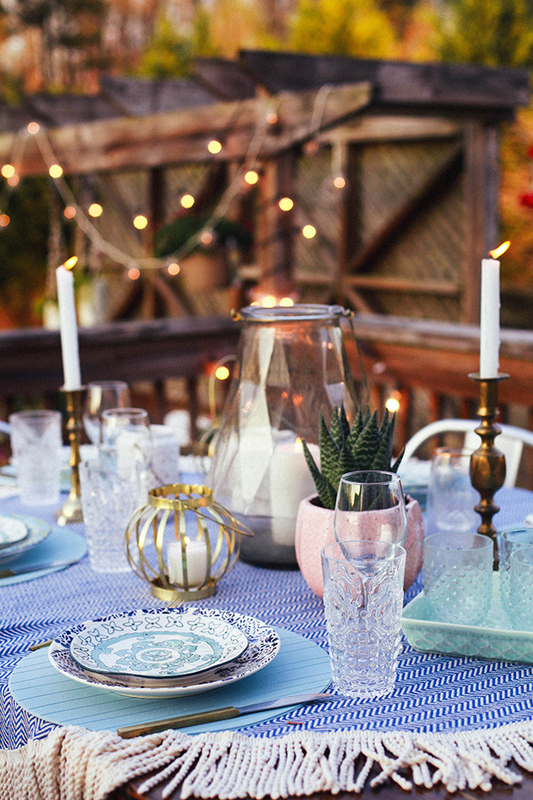 You have such wonderful taste and a dreamy backyard set up! You are so sweet Carrie, thank you! It’s been a challenge to keep up I readily admit! I’d rather not rush a post though, so for now if that means less content that is ok:) I so appreciate the support! Hi! What’s your easter menu? I’m hosting for the first time this year and trying to figure out how to do it with kiddos underfoot! Also love doing deviled eggs!